Are you afraid of making mistakes with color? Have you had project disasters where beautiful bright colors wove up into muddy, indistinct designs? 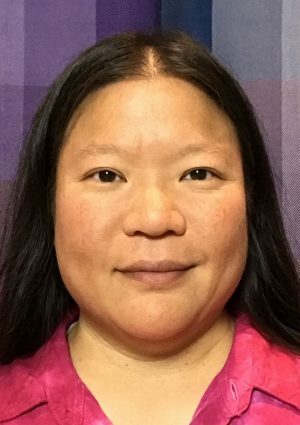 I’m Tien Chiu – weaver, writer, and certified color nut. I help color challenged weavers understand how color works, so they can confidently design gorgeous handwoven cloth using the hues they love. If you’re nervous about color, feel you have no color sense, or are terrified of making color mistakes, I’ll help you transform that fear into confidence. 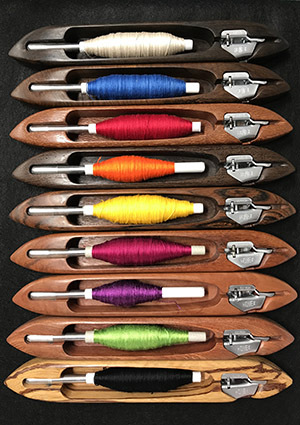 How to choose colors and weave structures to produce the look you want. How to know what your project will look like when you’re done. How to fix whatever color snafus come up. How to properly admire your gorgeous finished piece! 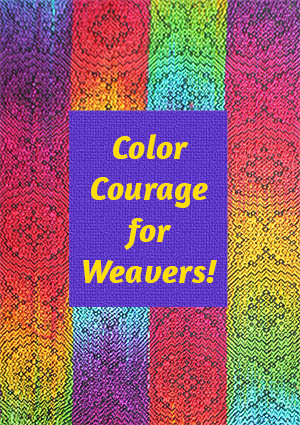 Head on over to my Warp & Weave school to find out more about Color Courage for Weavers! Check out Color Courage for Weavers! I also write blog posts regularly about color in weaving. You can read all the articles here. Sign up for my newsletter to find out about new blog posts, upcoming courses, and other interesting happenings in the world of color and weaving! Plus, get my FREE e-book Color Secrets: Three Keys to Making Crisp, Clear Designs!